Now I've always seen GODIVA outlets when out and about, but have not had the chance to savour one until recently when a colleague shared with me. One of the premium Belgium chocolate brands around, GODIVA do offer some really nice sweet chocolates for those who love to indulge. 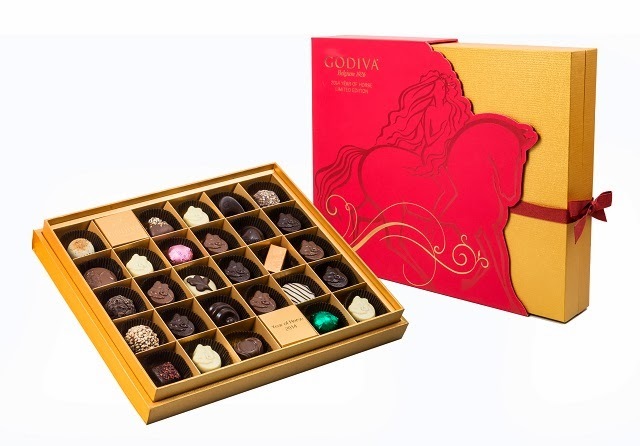 In this post I will be sharing an on-going promotion for the GODIVA's 2014 Chinese New Year Limited Collection Chocolates. 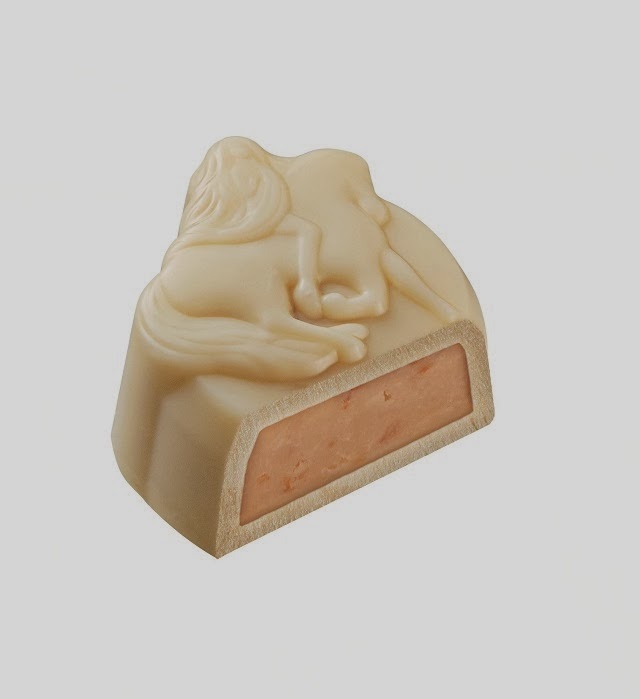 "GODIVA is delighted to celebrate Lunar New Year on January 31 by paying tribute to the 2014 Chinese horoscope creature: the majestic horse. 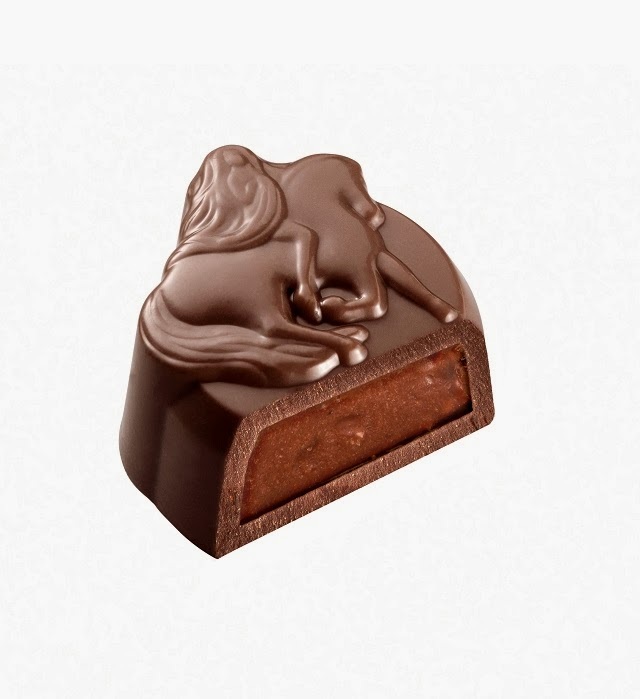 Named in honour of the legendary Lady Godiva, who famously rode naked through Coventry on a horse, GODIVA presents its Limited Edition Year of the Horse collection — with beautiful Lady Godiva-shaped chocolates packaged in iconic prosperous-red and prestigious gold gift boxes." 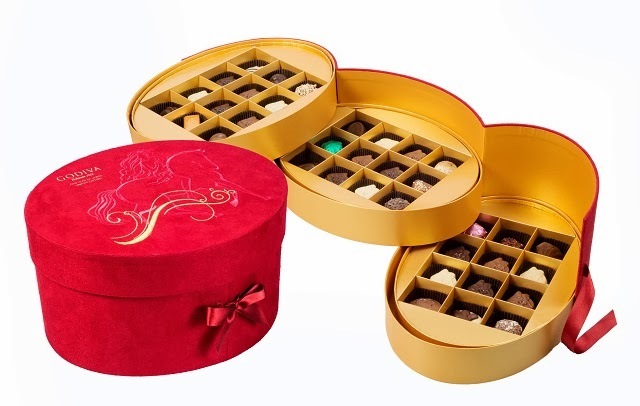 2014 Chinese New Year Chocolate Gift Box 28pcs. Fusing GODIVA’s Belgian spirit with Chinese New Year’s prosperity and joy — whereby both honour the grand horse and age-old tradition — celebrate this meaningful festival with family and friends with the GODIVA 2014 Chinese New Year limited collection. For 2014, GODIVA has specially selected popular seasonal fruits for aromatic dark, milk and white chocolate delicacies to delight all. Check a few of them out below. Cheval Blanc Ananas Seasonal pineapple is mixed with macadamia nut cream to make a Dominican Republic white chocolate ganache, creating a beautifully sweet delicacy. 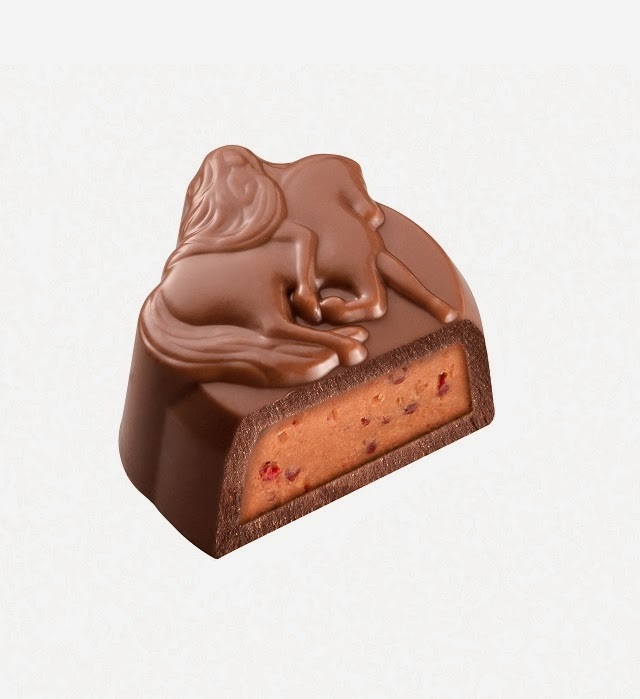 Cheval Lait Cerise Praliné, the milk chocolate shell is filled with the signature almond praliné, blended with cherries, honey and Vanuatu chocolate. An amazing chocolate masterpiece. GODIVA 2014 Chinese New Year Collection Carré Gift Box 15pcs. Coming in at least three different Chinese New Year Limited Collection boxes, you will be spoilt for choices on not just the chocolates itself, but the boxes. The elegant GODIVA 2014 Chinese New Year Carré Gift Box contains Carré Milk and Carré Dark Strawberry pieces, packaged in beautiful classic Chinese style, to represent prosperity and all the good things to come. For more information, do check out GODIVA's facebook page at http://www.facebook.com/Godiva . agree with Ken, too expensive liao!